To-do list apps are those apps that help us to keep a track of the things that we are doing and about to do. These apps help us plan our daily routine and also our work routine so that we can organize our tasks accordingly. In our fast lifestyle, each and every minute is precious for us, so if we do not schedule our tasks timely then we can waste some of our time without anything accomplished. 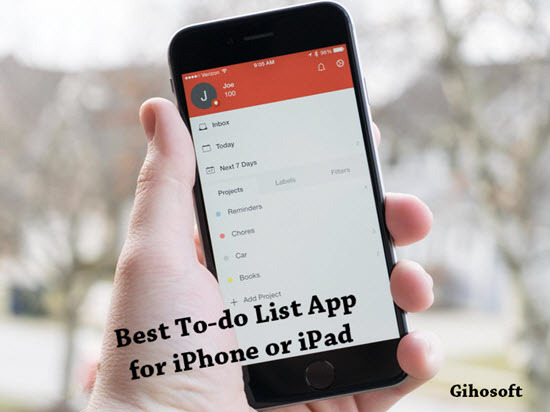 To help you plan your daily life, we have gathered the best iOS to-do list apps that are specially designed to manage your tasks and inform you about them at the right time. Besides these apps, Reminder app is the one by default installed on iPhone to help you remind yourself of anything important. If you lost or accidentally deleted any important reminder or calendar from iOS devices, you can always use the professional Gihosoft iPhone Data Recovery to get it back for free even without backup. 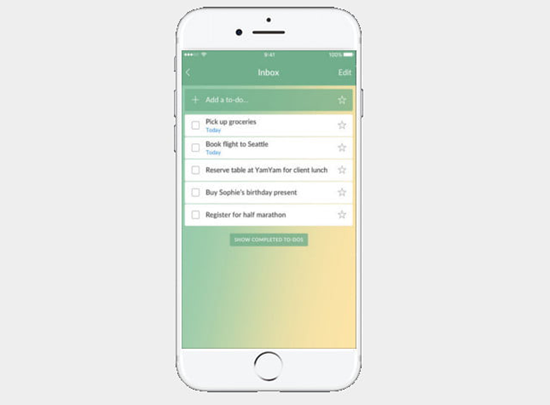 The tech giant Microsoft also has its to-do app for iPhone that similarly helps you to organize tasks. The app was originally created by the Wunderlist team after which Microsoft bought the app back in 2015. Microsoft To-Do has a striking resemblance to Wunderlist app — that lets you set up new tasks easily and offers almost similar service in terms of tools and features. Microsoft To-Do’s specialty is the My Day — the idea with which you can take a note to write what to achieve throughout the day just at the start of each day. It’s a neat and beautiful concept for those who really focus on each day productivity. Microsoft To-Do helps you to plan ahead, with the smart suggestion tool suggesting tasks for you based on your previous record and giveing you reminders as well. The app is free and having the Microsoft environment syncing your tasks across devices won’t bother you much. 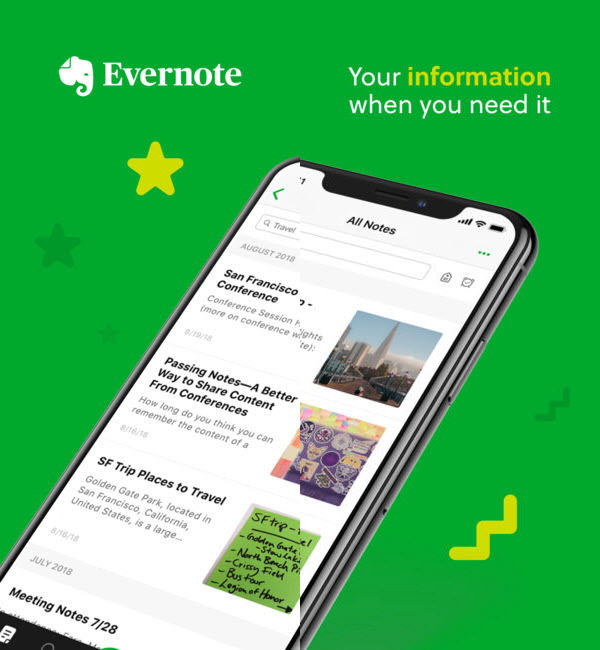 Evernote is one of the best-known apps for planning your tasks, events and managing your plannings on iOS device like iPhone. Similar to Google Keep, you can type or scan notes, add to-dos, and attach photos, images, web pages, or audio. Evernote is extremely effective, having the ability to add video and attach Word documents or PDFs to your to-do lists. You can organize your tasks and set reminders for your planning or task, and also organize them and share with friends and co-mates. Like Google Tasks or Google Keep, Evernote gives you the option to sync your lists and plannings across all of your iOS devices. Evernote has some extra features that you can avail at $35 a year for Evernote Plus or $70 a year for Evernote Premium. With the premium version, you can get features like offline access, extra storage, and also the ability to add password-support to lock down your notebooks. Wunderlist provides you with the best services at its cheap offerings on iPhone or iPad. It is another very simple to-do list and task manager app that helps all your tasks done on time. It has some similar options to Todoist, helping you to capture, share, and complete yours to¬dos. It is easy to set up new tasks, collaborate with other users, and assign tasks to specific groups. Wunderlist is a lot more generous with providing access to features than Todoist. 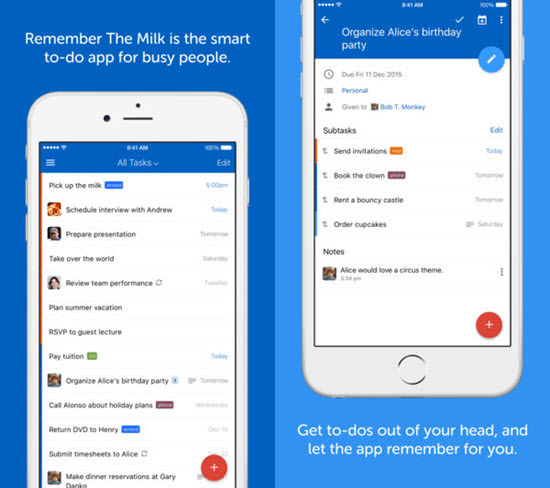 Free users get access to time-based reminders, assign co-mates to tasks, and leave comments. But you are restricted to share with only 25 assignees per shared list which leads you to subscribe to the premium feature of the app if you want more. The premium subscription costs around $5 per month or $60 a year. Yet regarding to yearly subscription, Wunderlist is much more costly than Todoist. If you want premium access then Todoist may be better for you, but for free usage, Wunderlist just has an edge over Todoist. 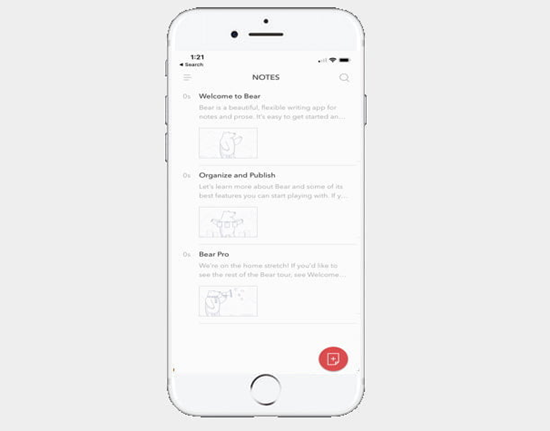 Bear is a very simple app built for you to keep notes and to-dos all at same place. It is a beautiful, flexible writing app for crafting notes, prose, code and now even sketches! Also, there’s a traditional menu bar that allows you to format text, and you can use the markdown to make some quick changes. Creating group lists and notes by hashtags, that makes things easier to find all your tasks at once. You can get your hands on with Bear app on iOS devices, Mac, and even on Apple Watch. You can use the Bear app for free, but if want for syncing between your devices, you’ll have to pay a minimal fee of $15 yearly. This is another best to-do app for iPhone, but it seems smarter and is made for busy, working people. Like all other apps here, you need to jot down your to-dos onto the app and help it to remember them back again to you. The app is smart and more like your office boss, that reminds your tasks via text, IM, Twitter, and mobile notifications and even via email. 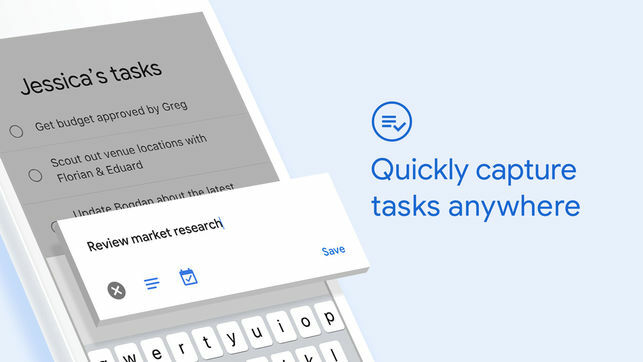 The app also lets you share your to-dos and tasks with others, so that you can share your work-related or other stuff with your mates and get things done quickly in a collaborative way. The simplicity and effectiveness of this app has made users rate it high at the App Store. This to-do app Remember the Milk is available on all types of the iOS device even on your Apple watch. As the name suggests, Todoist is a genuine and dedicated app that has been specially built to manage and organize your tasks. It is one of the best for its job and is highly rated by users at the iOS App Store. With your Facebook profile or Google account, you can quickly sign up for the app and get things started. 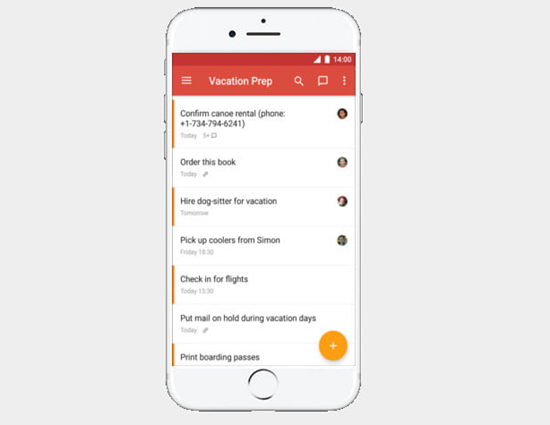 Todoist keeps track of everything – from simple errands to your most ambitious projects. With the free app, you can capture and organize tasks effectively. You can even highlight your day’s most important activities with color-coded priority levels. With the app, you can also see your daily and weekly progress with beautifully customized productivity graphs. Well, if you want all the premium features like setting reminders on tasks, extra active projects, comments on tasks, and automatic backups, you need to subscribe to Todoist Premium version for about $29 a year. Habitica is a completely different type of to-do app for iPhone, and that’s visible while you boot up the app. Instead of being asked to fill in your first task or your day’s plan, you will be asked to create a character as you do in gaming apps. Why? That’s because Habitica uses a different approach of gaming RPG-style to motivate you to complete your daily tasks. As you complete tasks, your character gains experience and gold that you can spend to make your character powerful. Sounds strange as a to-do list app? But they do use this unique and cool approach to make your things done at the right time. If you fail to complete your daily tasks, your avatar will take some serious damage. 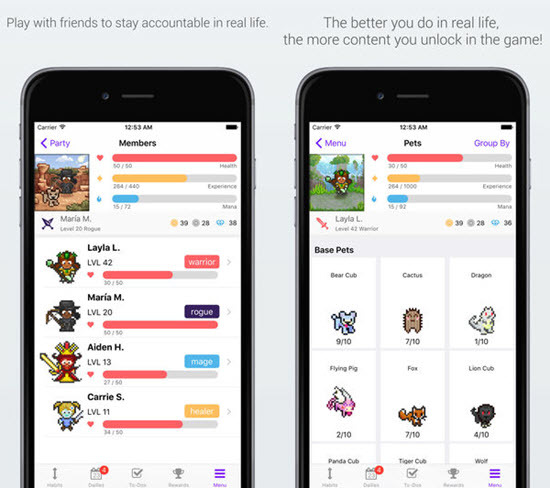 Habitica is a bit odd and crazy, but it’s an out-of-the-box app that motivates you to do your tasks as if you are playing a game or so on iPhone. Google is always known for its simplified yet effective applications, and so is the Google Task that has been made to assist through with your daily tasks. With the app, you can create tasks, note a description for them, and add subtasks. You will be able to manage, capture, and edit your tasks from anywhere, at any time, with to-dos that can be synced across all your devices. From Shopping list to any task list for your organization, everything can be scheduled with the Google Task on iPhone. There’s also the integration with Gmail and Google Calendar help you get tasks done faster. Above all are the simple yet very useful apps focusing on productivity for your everyday life. These to-do apps help you not only do tasks effectively but also save precious time from your busy lifestyle. 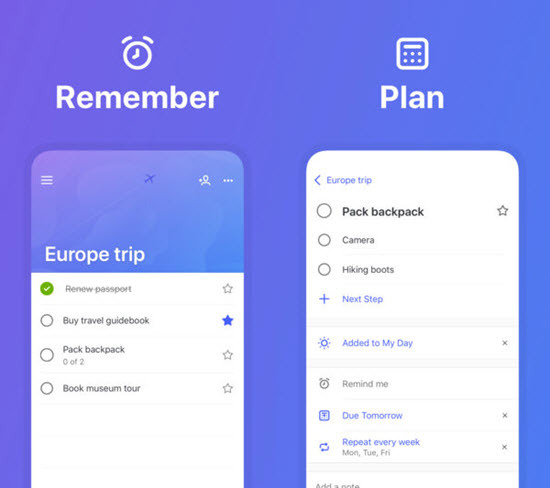 From the first one to the last, every to-do list app service (be it free or premium) aims to make things smooth and comfortable, so that you can focus on things that need your attention. If you have any suggestion or question, welcome to share with us by leaving a comment below.